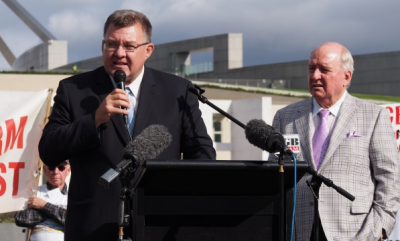 Craig Kelly: champion for common sense & reason. Everything about Australia’s renewable energy calamity was perfectly predictable and perfectly avoidable. Throwing $60,000,000,000 in subsidies at chaotically intermittent wind and solar was a pretty good start. Placing lunatics in charge of the entire operation sealed the deal. Australia’s Eastern Grid (covering QLD, NSW, VIC, TAS, ACT & SA) is on the brink of collapse; under threat every time the temperature rises (and with it demand for electricity), the wind drops and the sun drops over the horizon. South Australia, its wind and solar capital, pays the highest power prices in the world.